A new certified Lincoln or Cadillac Superstretch Limousine is the featured show limo for your business. Its luxury styling and all the desirable features meet the expectations of the customer. The limousine conversion manufacturers are approved by Ford and General Motors and meet all safety standards set forth. These limousines are designed to produce the maximum revenue from your customers in the special occasion high-yield market. The package also includes an extensive one week limousine training school in Tulsa and Oklahoma City, rooms, food, daily local transportation, Limopedia instruction materials, trade secrets, and personalized on-the-job training are included. The Limopedia curriculum is extensive and future edition updates and newsletters are included in this package. Some of the featured areas of Limopedia include classroom and Behind-The-Wheel limo driving instruction, administration, sales and marketing, advertising, limousine maintenance, chauffeur training and customer relations,, community relations, media strategy, recruiting, security, legal and accounting. A limousine factory tour will be given if you take delivery of your new limousine upon completion of the training school. Each limopreneur will have access toll free to Limopedia consulting services for a two year period at no charge. The customized Limopedia software program which includes reservation, sales/marketing, and accounting systems are included. This software package is state of the art and is proprietary to LIMOPRENEUR. The cost of this turnkey package is $93,575.00 A non-refundable deposit of $2,000 is required upon commitment with the remaining down payment balance of $21,575.00 due prior to the training school. The remaining $70,000 may be financed by our financial sources or yours. A lien will be placed on your limo and the title will be in your new company name. Normal terms are 60 months with anticipated payments ranging from $1,150 to $1,400 / month pending on creditworthiness and the financial institution. After the monthly payment, insurance, fuel and other expenses, an estimated net profit each month is $1,400 the first year. The average productive life of the limousine is seven years which may result in a profit of over $130,000 plus the residual value of the limousine which may be around $15,000. These estimates are based on operating one limousine part time with the majority of the revenue occurring over each weekend. Each LIMOPRENEUR will have independent status and 100% ownership. There are no fees, overrides, or royalties due anyone. 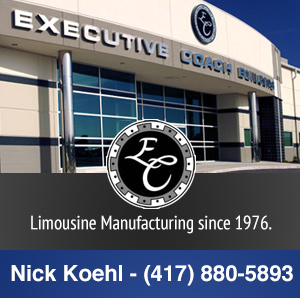 Pre-owned, certified limousines are available ranging from $25,000 to $65,000. Market conditions prevail. Above training school is $5,000.